The 177 miles Offa's Dyke Path National Trail was opened in the summer of 1971, linking Sedbury Cliffs near Chepstow on the banks of the Severn estuary with the North Wales coastal town of Prestatyn. The Trail is named after, and often follows, the spectacular Offa's Dyke, a great frontier earthwork, which Offa the King of Mercia from 757 to 796 A.D. ordered to be constructed. The Trail passes through no less than eight different counties and crosses the border between England and Wales over 20 times. The Trail explores the tranquil Marches (as the border region is known) and passes through the Brecon Beacons National Park on the spectacular Hatterall Ridge, the highest point on the route at 700m/2300ft. In addition it links no less than three Areas of Outstanding Natural Beauty – the Wye Valley, the Shropshire Hills and the Clwydian Hills. Offa's Dyke Path is the most attractive and varied of the National Trails. The route crosses high wild moorland, attractive, well cultivated wide river valleys and ancient woodland. It passes through historic towns and isolated hamlets. En route can be seen hill forts, castles, abbeys and surviving remains of the habitations of former occupants of the beautiful corridor of the path. The flora and fauna are as rich and as varied as the scenery. You can start your Offa's Dyke Path self-guided holiday on any date of your choice between April and October. The 177 miles Offa's Dyke Path National Trail was opened in the summer of 1971, linking Sedbury Cliffs near Chepstow on the banks of the Severn estuary with the North Wales coastal town of Prestatyn. 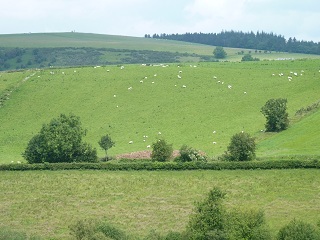 The Trail is named after, and often follows, the spectacular Offa's Dyke, a great frontier earthwork, which Offa the King of Mercia from 757 to 796 A.D. ordered to be constructed. The following is intended to provide further information about the route. Please note that all distances and heights are approximate and along with all the other information are provided as an aid to describe the route. On this stage the ODP follows long stretches of well-preserved Dyke before it enters Knighton (Tref-y-Clawdd, meaning the town on the dyke in Welsh). On leaving Kington the ODP rise over Brandor Hill and its golf course. A high point of approx. 390m makes Kington Golf Course the highest in England. Soon after the ODP meets up with Offa’s Dyke on Rushock Hill (375m), from this point to Chirk Castle the ODP and Offa’s Dyke keep each other company for most of the journey. The ODP now continues its journey across the rolling countryside. The highest peak on this section is Hawthorn Hill (407m) a few miles before Knighton. There are stunning views from the hill and one of Owain Glyndwr’s (the last native Welshman to hold the title Prince of Wales) famous battle sites can also be seen from here where he fought the English at the Battle of Pilleth, with the square clump of trees that mark the burial site of the soldiers. The final decent brings you down into the historic market town of Knighton, almost the half-way point along Offa’s Dyke Path and the home of the Offa’s Dyke Centre. This next section of the ODP is generally regarded to be the toughest. This is the ‘switchback’ section and the ODP rises and falls through the Shropshire Hills an Area of Outstanding Natural Beauty. However the views make the effort worthwhile. Shortly after leaving Knighton the ODP climbs into the Shropshire Hills, the highest point is 430metres as the ODP crosses Llanfair Hill alongside some of the best preserved sections of Offa’s Dyke. Just above Newcastle on Clun you are at the true midpoint of the ODP, with its midway marker, a good photo opportunity for all walkers. The ODP descends into the Clun Valley. The ODP climbs into the hills again and at Hergan there is what seems to be a natural break in the Dyke, where the Shropshire Way joins the Dyke for a short distance. There are very few villages on this section but a number of hidden gems await the walker, one of these is Churchtown - at the foot of a narrow valley you find the church, but no sign of a town. Within a couple of miles the ODP crosses the Kerry Ridgeway trail from this point on it is level or downhill. Shortly before Brompton the ODP goes through the hamlet of Cwm and passes Mellington Hall, areas with a scattering of accommodation. Hello Dean and Corinna, I just wanted to say thank you for putting together such a wonderful trip and to say that we had a wonderful time during our Offa’s Dyke walk. The walk was a lot of fun and we were very lucky with the weather too…All of our lodgings were very nice and two of them were truly amazing …Once again thank you for putting together such a wonderful trip. Hi Dean Just landed back from an excellent walk. The accommodation was brilliant. The hosts were very helpful throughout the walk and greeted us with cups of teas and cakes, wonderful!! Weather little misty at first but brighten up so much that we had to buy sunscreen!!! Thank you, a wonderful walk with wonderful accommodation. 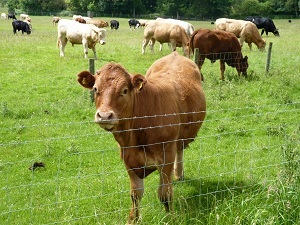 Hello Dean, A quick note to let you know how much I enjoyed the recent Offa's Dyke walk. At times the hills were hillier but the scenery soon made me forget about the legs. The very far distance views were always a bit of problem but that is what was dished up so, no complaints. Many thanks for Northwestwalks assistance with the ODP walk. Everything went well, as usual. Hello Dean, We just returned from our ODP and 2-segment C2C walking holiday and wanted to drop you a note about the trips. Thank you for making the arrangements and allowing us to focus on the enjoyment of the walk. Again, we were most pleased with the arrangements which Northwestwalks made and encountered no problems with luggage transfer, and found the accommodations overall to be very good...So, just "a few words" about our wonderful walking holiday and, again, many thanks for arranging the details. Hi Dean & Corinna Have had a wonderful holiday in the UK. The walk was great with plenty of highs and very few lows. Probably harder than we expected (especially the northern half) and certainly more difficult than Coast to Coast. I guess we are all over 50 and slowing a little! Several comments about how good NWW are to deal with which is good. Baggage transfer was fine. As always we believe your walks offer good value for money. West Highland Way (and possibly Lakes circuit) next year. Just to let you know all went well on our trek along the Offas Dyke...we thoroughly enjoyed the walk and thank you for arranging the accommodation & luggage transfers so well. I returned from the Offa’s Dyke trail last Saturday and have been meaning to write to thank you for the wonderful efficiency of all the arrangements – the accommodation and the luggage transfers all worked absolutely according to plan without a hitch. You did a brilliant job. 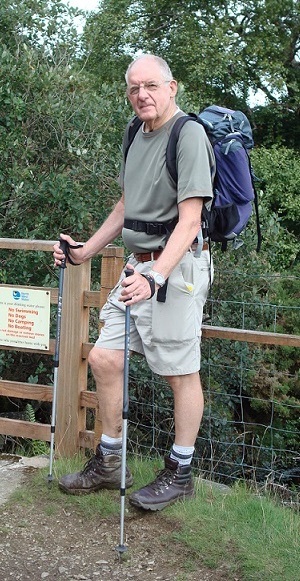 I very much enjoyed doing Offa's Dyke path, thanks for organising it for me. I had very good weather. The accommodation was very high standard and there were no problems at all. I am looking forward to my next holiday with you.